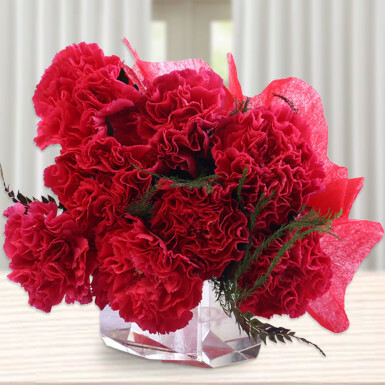 Exotic and elegant red carnations in bright beauty make this delightful bouquet a perfect gift for Valentine’s Day, date night, success party, housewarming, and many more occasions. 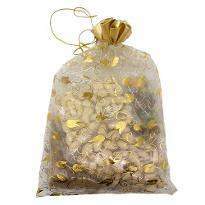 There is no doubt that this beautiful gift will fill the special day of your special ones with joy and happiness. A special moment is for a person with some cute flowers that Winni offers you online at your convenience that to beautiful bunch of 8 red carnations wrapped in red paper packing along with ribbon bow. The bouquet will surely help you to make some your moment a sweet memory. Long distance relationships can be really painful sometimes. You don't get to arrange the extravaganza that you want to arrange for your loved one. I recently sent my girlfriend flowers from winni. And believe me I was amazed by the service that they provide. Within 16 hours of ordering, she received the flowers. It made her smile, trust me that's a tough thing to do. A huge thanks to everyone at winni for bridging the gaps. Only suggestion: packaging could have been a little better. Amazing quality of flowers .fresh and beautiful packing. I ordered this bunch for my wife and it was delivered fresh, on-time and good quality. The handwritten message was also good. Thank you Winni for making my wife smile. The carnations were wonderful I sent them for my parents Anniversary and they loved it.